Congratulations to all of the KWE riders who competed at the Seneca Valley Pony Club Horse Trials this past weekend in Poolesville, Maryland! -Sabrina Morris with Lisa Reid’s BFF Cypher for their 10th place finish in Open Training 2. -Meghan Wall with Ruby in the Rough for their 8th place finish in Training Senior 1. -Sarah Chapin with Binn Waiting for their 4th place finish in Novice Horse. Looking to have fun and learn something new? Having an issue out on cross-country that you would like to work through with a professional? 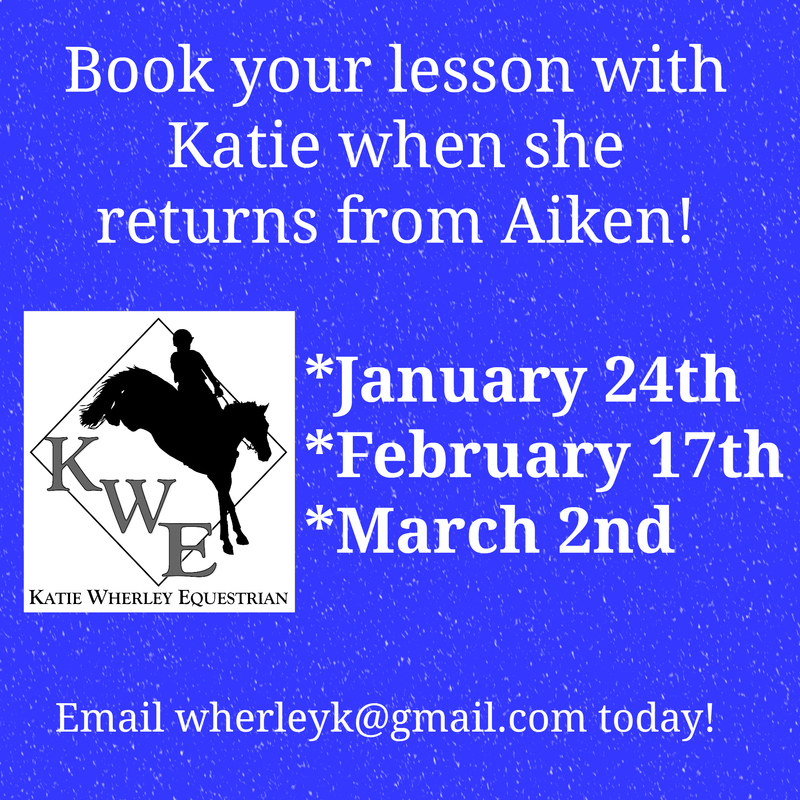 Advanced-level event rider Katie Wherley, of Katie Wherley Equestrian in Middletown, Maryland, will be teaching at the Woodstock Equestrian Park (off MD Rt. 28) on Saturday July 2nd! Katie, a graduate “A” pony clubber, has trained and competed horses to the Advanced/CIC3* level of eventing, and has significant experience in the jumpers, hunters and dressage. Riders of all disciplines and levels welcome. Email Tara Shegogue at tara@mythiclanding.com to sign-up today! Space is limited so be sure to reserve your spot now! FOR SALE is a 1994 GORE 3-horse slant load trailer with a huge dressing room. The brakes and bearings were just recently done in January 2015 and the tires are in great shape! It does need a new ramp, water tank and exterior wheel lights. Asking $6k OBO. Email wherleyk@gmail.com for more information! 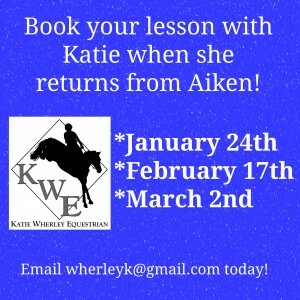 Advanced-level event rider Katie Wherley, of Katie Wherley Equestrian in Middletown, Maryland, will be teaching at the Woodstock Equestrian Park (off MD Rt. 28) on Sunday, May 22nd. Exciting news: KATIE is now BACK IN MARYLAND and open for business! She currently has availability for horses in training at her farm in Middletown, MD as well as availability for teaching lessons (at her farm or yours)! Katie will also be competing locally this spring and is available for schooling and coaching at events. Be sure to sign-up and get on Katie’s schedule today! Email wherleyk@gmail.com or call (301) 606-5436. What a good weekend for Katie this past weekend at the Sporting Days Farm II Horse Trials in Aiken, SC! -With client Mike Hillman’s Khitomer, Katie finished 6th in the Training Horse-B division. -With client Goldie Roth’s Shauna, Katie finished 17th in large Open Training-A division. Katie and Mr Indiscretion (“Trip”) had a good run this past weekend at Pine Top Advanced Horse Trials. The pair finished 14th in a tough Open Intermediate-A division. Katie tells us that she had a silly glance off and Trip had a stop at the coffin on cross-country, but besides that everything else was great and she is really happy with him. Way to go Katie & Trip! Spring is coming! Start your spring season off with a new competition partner who can help you achieve your goals! Katie has two awesome geldings for sale currently and needs to make room in her barn! 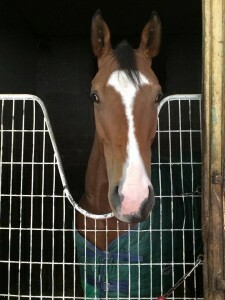 Both horses are currently located in Aiken, SC with Katie. Email wherleyk@gmail.com for more info! 1.) Absolute Addiction (“Gus”): 17 hand, 2006 bay Thoroughbred gelding. He has evented through the Training-level and also done the jumpers. Although he is a talented jumper, unfortunately, Gus doesn’t love cross-country so we think he will best excel in the jumper ring. 2.) 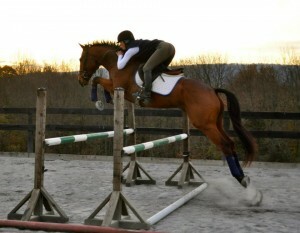 (“Smoke”): 17.1 hand, 2010 OTTB bay gelding with the talent and willing attitude to go far! He is a West Virginia-bred Thoroughbred who was successful on the track at 4-years-old and then decided as a 5-year-old that he no longer wanted to race. Smoke has a great attitude and is eager to please. He is quiet enough for an amateur with the movement and scope to be a solid Training-level horse in 2016! He has already competed at his first event and took it all in stride. Priced to sell at $10,000.